For many centuries there have been organized states and powerful empires in West Africa. Their wealth came from agriculture and mining, which gave rise to trade through the region and with Central and North Africa. Emperor Mansa Musa who reigned over Mali in the 14th century established trade and cultural relations with the Islamic world. King Osei Tutu of Asante (17th century Ghana) used commercial ties with the Europeans to expand his territories. Ndate yalla Mobdj, queen of Walo in 19th century Senegal tried to protect the trade and independence of her realm from a French takeover. 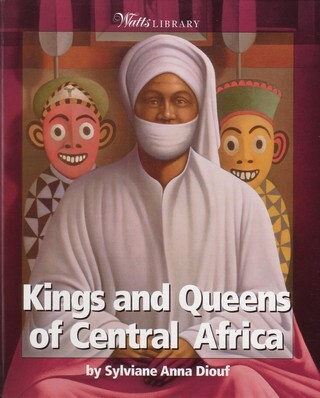 These royal figures shaped the course of history in West Africa through their strength, wisdom and vision. Readers get to examine these great lives and their impact on the region today. Diouf presents a remarkably even account of the lives and context of Mansa Musa, Asantehene Osei Tutu, and Ndata Yalla Mbodj of Waalo. . . The author intertwines cultural and economic descriptions of Mali with Musa's pilgrimage to Mecca, evenhandedly interposes traditional and economic explanations for the location of Kumasi, and allows us to see Ndate Yalla as a leader caught between French and Moorish power. Each of the monarchs is presented as complex (and in Osei Tutu's case, somewhat troublesome) individuals. 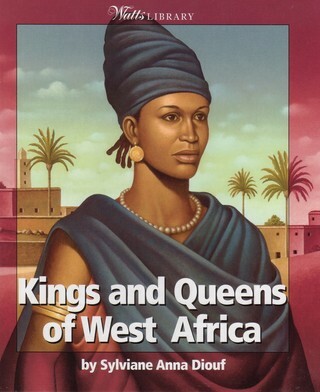 Finally, Kings and Queens of West Africa represents a modern text in its use of a multitude of techniques to help young readers. Chief amongst these are a bibliography of texts and websites, highlighted words accompanying an accurate glossary, and sideboards illuminating cultural and personal tidbits. 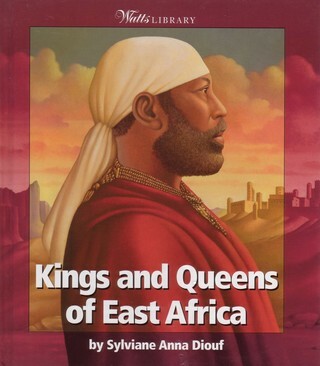 This book focuses on the innovative rulers of Western Africa, a place where trade was predominant and kingdoms were based largely on commerce. . .This resource describes the history of each region and outlines how these powerful rulers rose to power, what they accomplished during their sovereignties, the challenges they faced from surrounding nations and Europeans, the battles they fought, the legacies they left behind, and their influences on today's West Africa. . .Young readers will enjoy this fascinating look at the brave leaders of West African kingdoms from many years ago. This book focuses on the innovative rulers of Southern Africa, a region plagued by the mass migration of millions of native Africans. These migratory practices were exercised by tribes in order to survive the hostile advances of warring tribes, Afrikaners and Europeans. 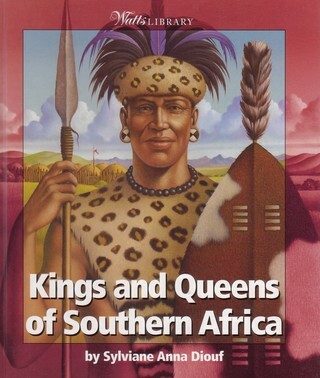 The author discusses the reigns of three South African leaders—Nzinga Mbande (Queen of Angola), Shaka (King of the Zulu Nation), and Moshoeshoe (King of the Sotho). This resource describes the history of each region and outlines how these powerful rulers assumed their thrones, the hardships they faced along the way, their strengths and weaknesses, the battles and wars they fought, the legacies they left behind, and their influences on today's South Africa. . . This book definitely sheds light on the current political state of South Africa and the struggles they continue to face. Readers travel to the heart of Africa and trace Central Africa’s geographical, political and social evolution through its greatest rulers in this revealing volume. Focus is given to the 15th-century Kongo king Afonso I, the first to introduce European religion, goods and know-how to the region. Afonso wanted to deal with Europe on an equal footing but could not stop the slave trade that eventually sent millions of people from the region to the Americas. Shamba Bolongongo, the legendary Bakuba king was an innovative and peaceful ruler who developed arts and crafts. In the 20th century progressive King Njoya of Cameroon, a restless innovator introduced new ways into Bamum country, even as his realm was caught between competing French, British and German powers. East Africa is characterized by great variety in peoples, cultures, and religions. Great kingdoms have emerged here. The most ancient flourished in Nubia, in the Sudan, 5,000 years ago. In the 19th century, Queen Ranavalona of Madagascar repelled two European invasions, and King Yambio of the Azande in Southern Sudan fought against slave dealers, a Northern incursion and several European powers. Menelik II of Ethiopia thwarted Italy’s attempt to colonize his country. His wife, Empress Taytu Betul was a legendary patron of the Christian Church. The stunning history of East Africa is told through lives and legacies of these royal figures and ends with a look at the modern-day region.